Australian supermarket giant Woolworths recently announced a partnership with online auction website eBay that will enable eBay shoppers to pick up their online purchases in selected Woolworths and Big W stores. The service has been launched initially in more than 90 Woolworths and Big W stores in Sydney in Tasmania. However, the deal had been criticised as a display of management weakness by Woolworths. Commentators such as John Durie, writing in The Australian newspaper, have suggested that this deal will create an opportunity for eBay to become a retail competitor in the supermarket grocery space. “There is an old maxim in retailing that says you let your competitor get access to your customer at your peril, but here is O’Brien inviting online giant eBay into his very own backyard,” Mr Durie wrote. In effect, eBay is gaining a piggyback at Woolworths’ cost. Mr Durie also queried Woolworths’ commercial decision to engage in the eBay deal, suggesting Woolworths “lacked confidence” in the online space. He suggested that Woolworths’ “better option is to take on eBay” and grow Woolworths’ online sales, competing with eBay directly. “The deal smacks as ill-conceived short-term desperation from a house that is struggling from a lack of faith in its own ability to prosper,” Mr Durie wrote. Woolworths said the new service has launched in response to the growing online retail landscape and consumer demand. New research reveals that one in five online shoppers in Australia buys online at least once a week, yet almost half (47 per cent) are not permitted to receive personal deliveries at work. A quarter (23 per cent) have taken holiday or worked from home, in order to receive an online delivery. Half (49 per cent) said they re-direct personal online deliveries because they are at work. With this research in mind, Woolworths said it had developed with eBay “a service that will provide the most convenient delivery network for online shopping in Australia, giving consumers the chance to choose a collection point that suits their needs”. 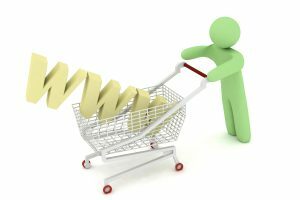 Market research organisation IBISWorld recently found that while online grocery shopping has been slow to catch on within the Australian market, local online shopping as a whole has exploded in popularity over the past five years. Woolworths might be hoping the eBay partnership will allow the supermarket group to take advantage of the general online shopping boom. IBISWorld said the uptake of online shopping was typically driven by the improved ease of use of online stores and fast, affordable delivery options. As consumers become more adept at using online stores and gain more experience buying items online, online shopping expands. Woolworths might also be hoping to take advantage of shifts in the online grocery segment, which looks set to grow. Australian Food News reported in January 2015 that IBISWorld had found online groceries sales in Australia were predicted to grow, reaching $2,194 million in 2015, up 14.6 per cent from $1,914.2 million in 2014. Australian Food News reported in February 2015 that Australia’s biggest online retailer Kogan had launched Kogan Pantry, a new online grocery service which it said will offer Australians groceries at cheaper prices. Australian Food News also reported in September 2014 that Global retail giant Amazon could be preparing to enter the Australian grocery market, with Amazon advertising for a software development engineer in Brisbane for its AmazonFresh grocery delivery business. Woolworths said the partnership was a “significant opportunity” for retailers, with a “surge” in purchase frequency predicted for over two million Australian eBay users. The supermarket group said this would offer entrepreneurs, and small to large businesses, the chance to boost their reach and introduce an additional revenue stream. “The online retail industry is growing faster than ever,” said Hamish Moline, eBay Merchant Development Director. “Last year, Australians spent $16.4 billion in this sector alone. As it continues to expand, the traditional retail model is evolving and the lines between online and offline blurring. Consumers now expect a more bespoke experience that meets their needs,” he said. “The new service creates a brand new avenue for our sellers, driving traffic and encouraging a rise in sales that could change the face of businesses all over the country,” Mr Moline said. “Not only that, it’s a service we hope will revolutionise the way Australians shop, enabling a new and convenient way to get the things they need and want every day,” he said. With 91 per cent of Australians living within 10km of a Woolworths store, eBay and Woolworths project there will be up to 12,000 sellers involved. Additional Woolworths and BIG W stores will be included as the service ramps up over the next three years. “Woolworths is Australia’s largest domestic retailer and we know our customers are busier than ever and are looking for greater convenience and ease in everything they do,” said Emily Amos, General Manager Woolworths Marketplace. “This new service will help them make best use of their time by removing the need to wait at home for a parcel to arrive,” she said. “This unique partnership will change retailing in Australia,” Ms Amos said. “It brings together Woolworths, Australia’s largest retailer, and eBay, one of the world’s largest online marketplaces, to deliver the ultimate in shopping convenience,” she said. Mr Moline, eBay’s Merchant Development Director, said that “convenient delivery options” had already proved hugely successful for eBay UK via a partnership with Argos”. He said eBay was “looking forward to seeing an equally impressive uptake in Australia through a partnership that re-imagines retail”. James Harvey Operations Manager from participating seller Your Home Depot said the partnership provided retailers and opportunity to take advantage of a ready-made national network of physical stores. “This is a Click & Collect service like no other and is a fantastic opportunity for us to not only offer a more convenient way to shop for our current customers but opens us up to an entirely new retail channel,” Mr Harvey said.